Blending brave and honest songwriting, first-rate musicianship, and a huge helping of native Canadian wit, Nancy Beaudette is an artist of songs and heart. She was raised near Cornwall, Ontario, a place sustained by farming and millwork where French and English languages were friendly neighbours. 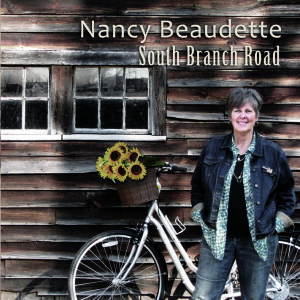 Her new CD, “South Branch Road”, delves into those roots, weaving a nostalgic past into lush songs of familial history, good-humored folly and poignant observations of life and loss. Order your copy of “South Branch Road” today. Available on Nancy’s website in both physical and digital forms. Also available for download on CDBaby and itunes.